Hey everyone! This week I would like to share a home-made polish with you, because frankly, I am very proud of it (hah! See what I did there?). A while ago I came across a very dusty make-up display in one of those 1 dollar/euro stores. The make-up and polishes in those displays are usually not something I would look at twice, but this one had some pretty orange/multicoloured glitter stripers in it. I never use stripers, but I thought I'd take one anyway and maybe chuck it in a bottle with a regular brush to use as a glitter topcoat. Of course I forgot all about the thing when I got home and it got lost in one of the drawers of my vanity. 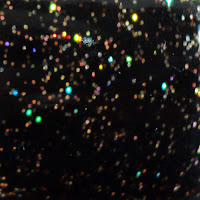 I especially love how the multicolour sparkles in the sunlight, but I did have difficulty capturing it on camera, so I took the pictures a bit blurry so you can see them better. I hope you guys like it! Awesome franken! Really really love it <3. This is gorgeous!!! 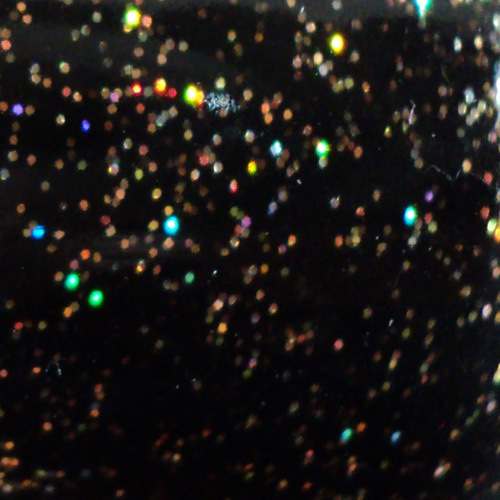 Love all the colors in the glitter. You should start selling it. ^^ It's beautiful!